Home » Marine Life » Whales » Whale, Come on Down! 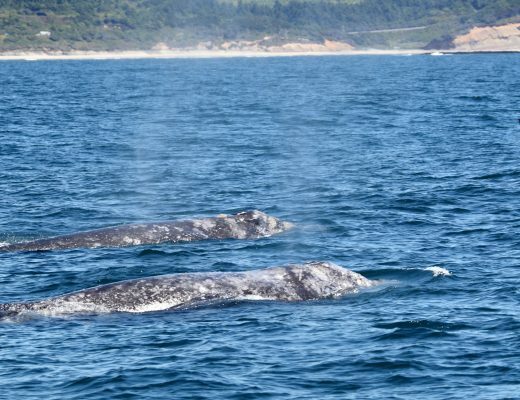 The gray whale migration is in full swing! These animals are passing San Diego on their coastal route down from their feeding grounds off of Alaska to their breeding and calving grounds in the lagoons of Baja California. Right now we are at the peak of the southbound migration. We are starting to see more cow-calf, or, mother and newborn, pairs and even the juveniles–the last whales to leave the feeding grounds, are making appearances. 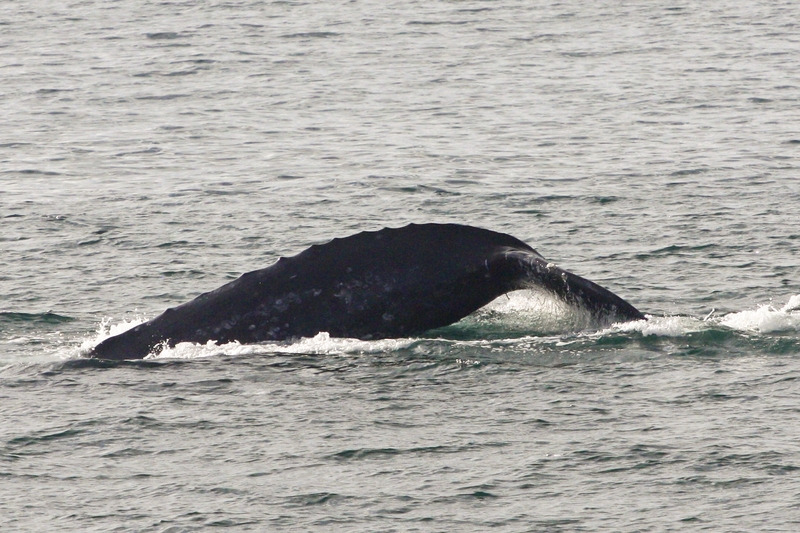 The next few weeks will present great chances for multiple whale sightings per trip. After this period passes, we will begin to see some northbound whales mixed in with the latecomers to the lagoons. Gray Whales do not have a dorsal fin, but they do have dorsal “knuckles” or bumps along their backs. San Diego Bay also continues to be busy. Naval ships are frequently making way to and from port. On one trip we were lucky enough to see one of the Los Angeles class submarines underway. While we can normally see these vessels at dock just off of Point Loma, seeing them out in the Pacific is a special treat. Interested in whale watching with us? Learn more. 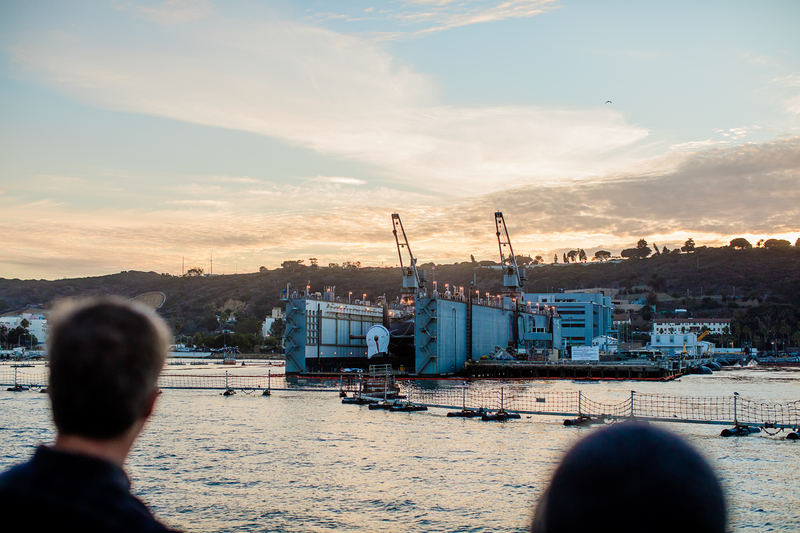 The nuclear submarine base and dry dock in Point Loma can be seen on every whale watching excursion.